Every parent prefers to celebrate the occasion with fullest extent when their son/ daughter complete the course of graduation with first class distinction. They like to have full- fledged parties and heavy feasts for the invitees. Our firm Elkhart Catering is quite appropriate to offer top class catering services to mark this event as a special one in the life of the individuals. Our staffs provide superb menu that would make both the young and the old to ask for more. Our menu items in such joyful occasion comprised of spicy beef, oysters, fried potatoes and other continental and oriental dishes. 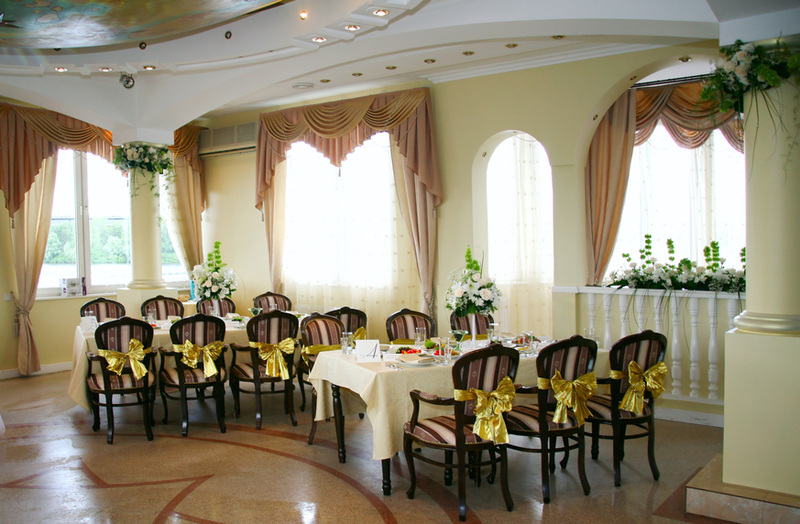 Based on the consultations with the clients we arrange either for buffet system or serve meals in general manners. There is hardly any scope to complain regarding our food quality. All the dishes are approved by our professional tasters before being served to the guests. To maintain the quality of the food we apply eco-friendly natural preservatives to retain the freshness of these items. Besides, our bartenders ensure that the mood of the party does not lost in discussion and so they present special cocktail blends to enhance their spirit. After the end of heavy meals our dessert dishes can be just compared to that of ice in the cake. It mainly comprised of strawberry creams, chocolate and vanilla mixed fruit cakes and many more. We also arrange for special musical CDs to tap the dancing moves of the guests. We also assist in setting appropriate theme for such occasions and our expert decorators work in close collaboration with the clients to prepare such theme settings based on their requirements. We always prefer to follow the recommendations of the clients to improve our service quality. It provides us with an insight to cater to the growing and popular demands of the customers all over US. Our own layout collections provide surplus scope for the clients to go for the appropriate one within their budgetary limit. We employ specialized catering team for this occasion and sharply instructed them to provide space for client’s preference while serving them. Our service charge is mentioned in our site and for the benefits of the clients we forward advance cost estimation to allow them to plan the events carefully. They can also avail the free consultation service of our support staff while planning such event. Our staff is always available on the phone line to provide valuable inputs for the events. We are also planning other means of easy connection with the clients to hear their grievances. Being a leading firm in this industry adds to our responsibility of evolving something unique and different to satisfy the stomach and mind of the clients. Hence we request our clients to forward their valuable feedback once they availed our catering services in any event. We always try to rectify our past minor mistakes and always focus on providing faultless services to the clients. Clients can read our blog articles to know more about our concepts.